Ready to step into the raptor cage? A raptor makes an appearance at the press announcement of "Jurassic World: The Exhibition" at The Franklin Institute. 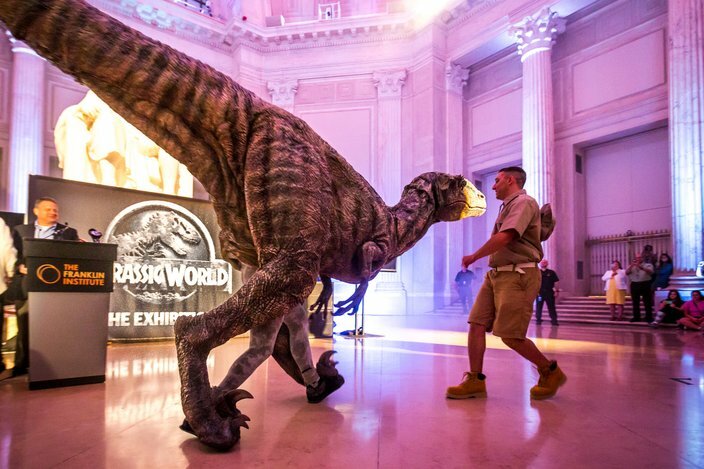 The North American premiere of "Jurassic World: The Exhibition" will take place on Nov. 25 at The Franklin Institute. Life-size animatronic dinosaurs (there's a Brachiosaurus that stands 24 feet tall) will roam through themed environments inspired by the 2015 movie "Jurassic World." 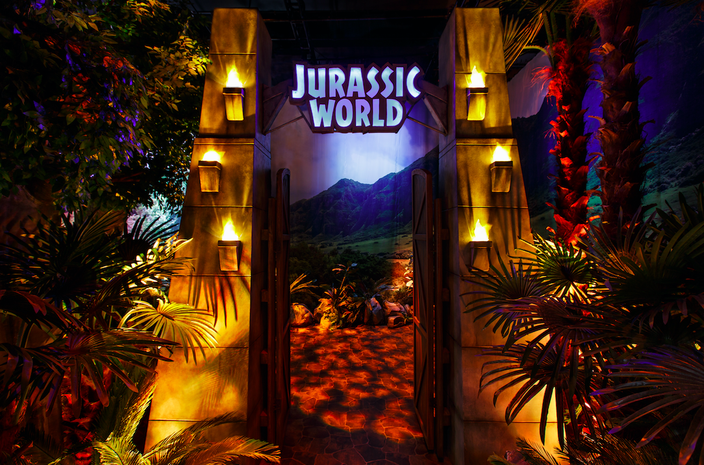 Guests will be led on a guided tour of the museum's own Isla Nublar that recreates some of the iconic moments from the blockbuster film franchise. Renowned paleontologist Jack Horner, who served as a paleontological adviser on the "Jurassic World" film, collaborated on the exhibit. Take a look at the Creation Lab to learn about the real-world science surrounding dinosaur DNA, get up-close to a giant T. rex. 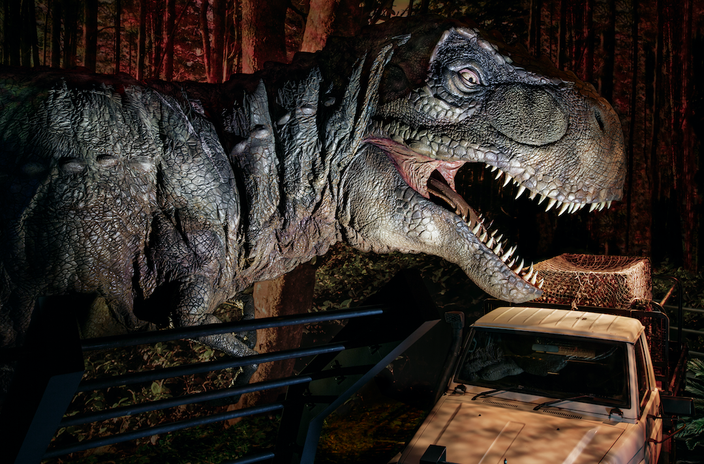 and step inside the Raptor Training Paddock for an all-new immersive experience that is making its worldwide debut. Tickets for the new exhibit will go on sale beginning Sept. 10. 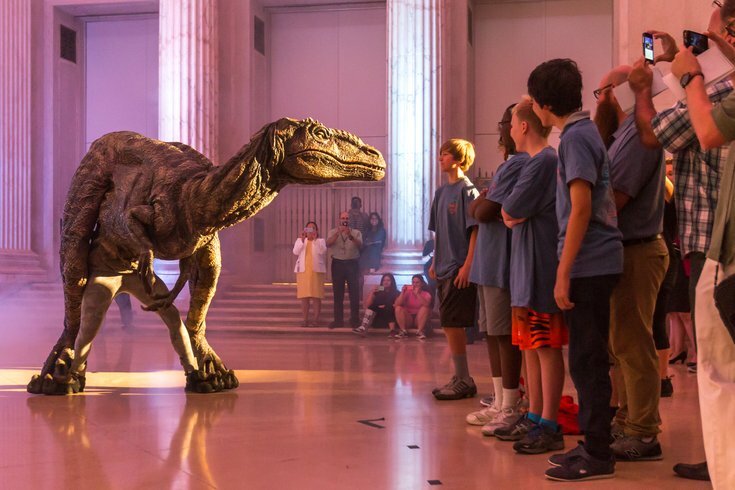 A dinosaur trainer tames a raptor at the announcement of “Jurassic World: The Exhibition” at The Franklin Institute. Welcome to Philly's own Jurassic World. The exhibit will take the place of "The Science Behind Pixar," which closes on Labor Day, and will run through April 2017.